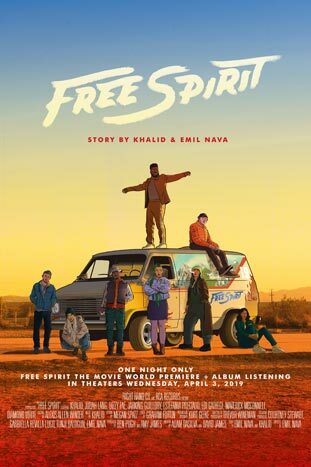 “Free Spirit” is a short film conceived and created by Khalid and Emil Nava. It’s a direct creative parallel to his new album, using the new music to tell the stories of the beauty and the pain of growing up as Khalid has always done in his work. This film expands on his lyrics and artistry by sharing a visual story as a companion piece and concludes with never-before seen commentary from Khalid.